The number one country album in America is officially RAELYNN’s critically-acclaimed debut WILDHORSE, which arrived at #1 on Billboard’s Country Albums Chart and Top 10 on Billboard’s All-Genre Albums Sales Chart. RaeLynn joins an elite few female country artists whose debut album bowed at #1, and is the highest charting/bestselling female country album release since Maren Morris. This comes after “the country Katy Perry” (Newsday) made spectacular peaks at #1 on the iTunes Country Albums chart and #3 All Genre Albums chart upon release. RaeLynn also celebrated release day performing the powerful first single from the album “Love Triangle” on ELLEN – a heart-wrenching divorce ballad told from the point of view of a little girl. Praised by NPR for its “finely drawn images and subtle shifts in perspective,” “Love Triangle” is currently Top 30 and rising at Country radio and gathering millions of online streams, the first taste of an album, which bucks convention at every turn to reveal an artist with an untamed soul. 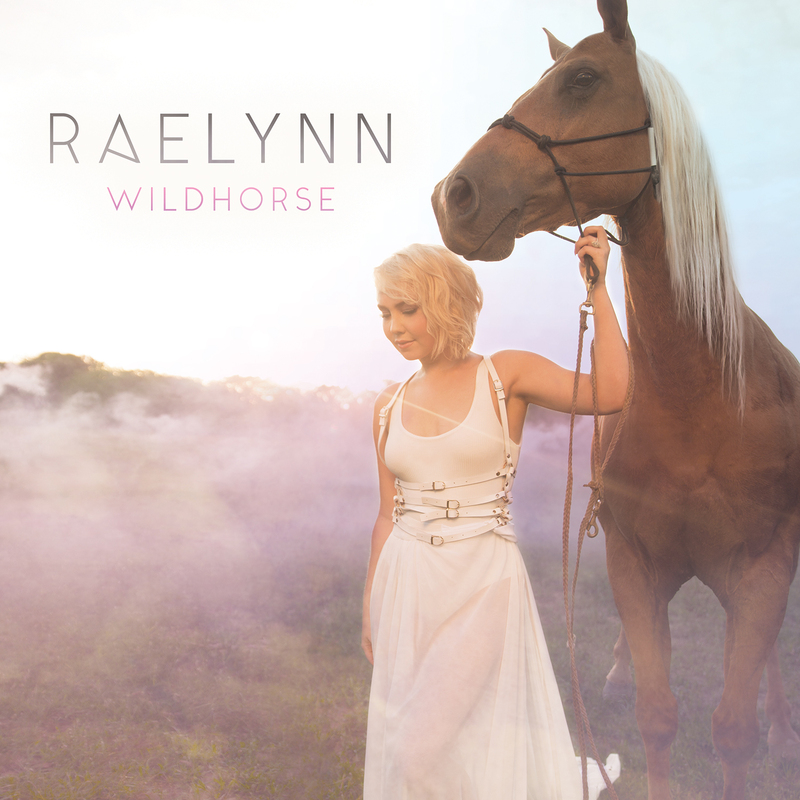 Produced by Jimmy Robbins and Nicolle Galyon, WILDHORSE (Warner Bros. Records/Warner Music Nashville) tells the story of RaeLynn’s life following her breakthrough on The Voice – four years that have seen her move to Nashville, release hit songs like “God Made Girls,” and get married. Full of personal touches, RaeLynn co-wrote 11 of the album’s 12 songs, even basing the anthemic “WildHorse” title track on a touching, cross-generational poem written about RaeLynn’s mother by her grandmother. Following WILDHORSE’s release, RaeLynn will begin her first-ever headlining tour. Kicking off on April 20 in Columbus, Ohio, the RaVe TOUR will give country fans a concert experience like they’ve never had before, combining a Radio Disney curated playlist, full performance from RaeLynn and a glitter-filled dance party with a live DJ after the show. The complete list of RaVe TOUR dates and information on ticket sales can be found at http://www.raelynn.com. RaeLynn’s current single “Love Triangle” is the powerful first track from her Warner Bros. Records/Warner Music Nashville debut WILDHORSE, produced by Jimmy Robbins and Nicolle Galyon. “Love Triangle” tells her personal story in a way that “is a raw and emotional account of what it’s like to be the child of divorced parents” (People Magazine), which media and fans have immediately gravitated to, evidenced by the single hitting Top 11 sales per spin while the music video has racked up 5.6 million views since release. The remainder of the 12-track album, 11 of which were co-written by RaeLynn herself, is a broader look into her life over the past few years since her breakthrough on NBC’s hit show, The Voice. Recently nominated for the 2017 Radio Disney Music Awards fan-voted THE FRESHEST! – BEST NEW ARTIST COUNTRY and selected as a 2017 “Country Artist to Watch” by Pandora Radio, Napster and Billboard, RaeLynn has tallied 104 million plus cumulative career streams. She is poised to follow in the early success of her Top 10, GOLD-certified song “God Made Girls” that has racked up more than 925,000 track equivalent sales and has been streamed more than 48 million times. The track was nominated in 2016 for Radio Disney’s Favorite Country Song, earned her recognition as one of CMT’s Next Women of Country and was the highest charting debut single by a solo female in 2014. The music video has accumulated more than 28 million views and earned her a pair of CMT Music Award nominations for Female Video of the Year and Breakthrough Video of the Year in 2015. For more information on RaeLynn, visit http://www.raelynn.com.